After leaving Milby, several of us in the band went on to the University of Houston. I received a partial scholarship on the trombone and played in the University of Houston concert and marching band for two years. Mathematics was my major with a strong minor in chemistry; but aviation became my passion about half way through college. After getting a BS in Mathematics, most of us in those days had some unattractive choices to make – the draft, enlist, hurry-up marriage or continue to work in a draft-deferred job. I wanted to be an airline pilot so I signed up for the Naval Aviation Flight program. After five years of getting shot off of aircraft carriers and then landing on same in the middle of the night, I’d had enough! During the stint in the Navy, I married a beautiful Houston girl, Hilda Hogue. A few years after we were married and while living in Houston, Braniff Airways called and wanted me to fly for them. We packed up our belongings and moved to Arlington, TX. Been here ever since. I worked for Braniff until their demise in 1982 when Piedmont Airlines of North Carolina hired me along with 300 other Braniff pilots. That was a blessing from God. 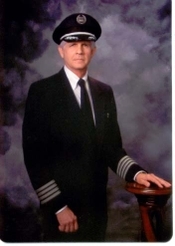 US Airways bought Piedmont in 1989 and I retired as a captain in 1999. That retirement was not planned! 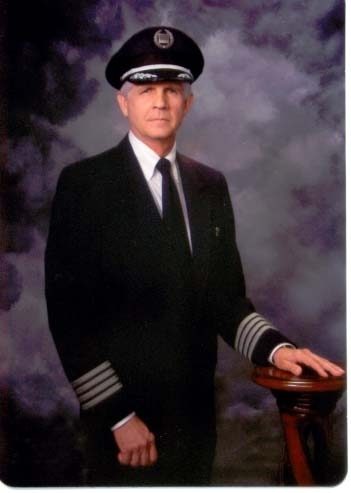 A heart attack ended my flying career 31/2 years too early. But, after flying in and out of every major city in the U.S. and dodging more than enough thunderstorms and terrorists, I’d had enough! One thing I haven’t had enough of is Hilda. We’ve been together 39 years and loved every minute of it. We never had children but nieces and nephews supply that void. People ask me if I’m traveling during retirement. After I pick myself up off the floor from laughing so hard, I explain that I traveled the world in the Navy and spent four days out of every seven traveling with the airlines. A cup of coffee with my wife by my side and looking out on our patio works just fine for now! I hope everyone will share his or her retirement activities on this blog. It will make for some good talking points at our fiftieth! While at Milby my family lived on Moss Rose in Pecan Park. Went to Southmayd and Deady. We moved to Glen Brook Valley in 1964 and I lived with my parents there until entering the Navy in 1966. After marrying Hilda, I drug her off to Whidbey Island, WA then moved to the Bay Area of San Francisco for a couple of years. After the Navy, we moved back to Houston and lived in the then new Cavalier Apartments on Broadway just north of Belfort. They have since been torn down, thankfully! When Braniff hired me we moved to the Dallas/Fort Worth Metroplex and have lived in Arlington all these years. Presently we live just a few miles from Six Flags. Please take the time now to make a comment in response to Charles' biography. You will also enjoy reading the comments that others have left. Click here to return to the "Charles for President" post on the main page. Loved your story! You're absolutely right about the lack of glamor in the job. Also about not wanting to travel now. John still loves to travel, but I'm of your disposition. Hotel rooms just aren't that much fun. As I remember, you were in the band weren't you? Are you still a musician? Thanks for the greeting. I haven't quite obtained a full grasp on the mechanics of this blog and, through my ineptitude, responded first to you via my own posting-- a cheap and tacky way to get you to pull up my posting again. Sorry. Looking forward to seeing you after 50 years! I just listened to your fabulous story of suffering again today, and realized I don't think I ever actually acknowledged it the first time. It is, of course, terrific in every sense of the word. I am especially blessed by your willingness to lay it all out there for your friends to profit from simply by hearing what God can and will do if we persevere through our trials. Thank you, my brother, for your faithfulness and I pray that God will continue to use you mightily for the kingdom.